The Ashram was founded by Swami Nishchalananda in 1986 to teach and propagate traditional yoga to the modern world. 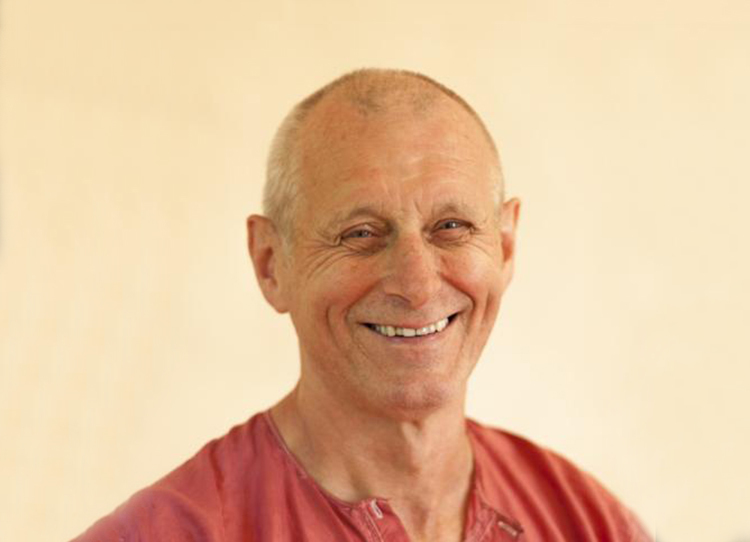 He is not just an inspiring and a much sought-after teacher, but also the author of a number of modern classical yogic books. He lived for 14 years in India, from 1971 to 1985, where he studied and practised the different paths of Yoga under the direct guidance of his guru, Swami Satyananda Saraswati, founder of the Bihar School of Yoga and Satyananda Yoga. During this period he also conducted many seminars on Yoga and Meditation throughout the subcontinent in villages, towns and companies. Whilst in India, he wrote a number of books on Yoga for the Bihar School of Yoga which are considered classics and still published by the Bihar School of Yoga. These include of Asana Pranayama Mudra Bandha (the first edition), Meditations from the Tantras, Sannyasa Tantra, and A Systematic Course in the Ancient Tantric Techniques of Kriya Yoga. For a few years he was the editor of the Yoga magazine which is still published monthly by the Bihar School of Yoga. In 1985 he returned to Europe to pass on the profound teachings he had received. In 1986 he establish Mandala Yoga Ashram and from then to the present day he has been teaching Yoga, Meditation and Yoga-related subjects in the Ashram, all over Europe and in India. Many people have been touched by his inspiring yet practical, down to earth teachings and have realised a new meaningful dimension in their lives. Without diluting the teachings, he is able to transmit the ancient, time-tested spiritual science of Yoga in terms that are accessible to the modern mind. He has also conducted and inspired Yoga Teacher Training Courses (YTTCs) in the Ashram and elsewhere so that professionally trained teachers can pass on the life-transforming message and teachings of Yoga. Over the last twenty five years he has written the following books: Mantra Yoga and Ashram Chants, which gives a background explanation of Mantra Yoga, The Edge of Infinity, an eclectic collection of articles on numerous aspects of Yoga, and his latest book Insight into Reality – the Tantric Teachings of the Vigyana Bhairava Tantra, which gives a practical presentation of one hundred and twelve means of transforming our vision of life and existence. He is currently writing a definitive book on the chakras entitled The Chakras: Keys to a Quantum Leap in Human Evolution – a Practical Manual on Kundalini Yoga. These are further described under ‘Publications’. He has also written a range of yoga booklets, including Pancha Kosha: The Five Sheaths of the Human Being, Bhakti Yoga: The Yoga of the Heart, The Mantra OM: Symbol of Primordial Vibration, Karma Yoga: The Yoga of Awareness in Action, Yogic Paradigms of Human Nature, Kriya Yoga: A Systematic, Time-tested and Profound Approach to Spiritual Awakening, Balance, Integration and Transformation: As Symbolised by the Ida and Pingala, Bhagavad Gita: Its Symbolism and Practical Application, Bhaja Govindam: Open Your Heart to Reality and Kena Upanishad – to Whom? All of these are also described under Resources. He feels that yoga is an invaluable practical system and way of life to bring meaning, wisdom, joy and, most importantly, spiritual understanding into our lives, thereby helping to harmonize society and bring peace into our troubled world.